An easily implemented extension of the standard response method of tidal analysis is outlined. The modification improves the extraction of both the steady and the tidal components from problematic time series by calculating tidal response weights uncontaminated by missing or anomalous data. Examples of time series containing data gaps and anomalous events are analyzed to demonstrate the applicability and advantage of the proposed method. Hyde RA, Pettigrew NR. A Modification of the Response Method of Tidal Analysis. 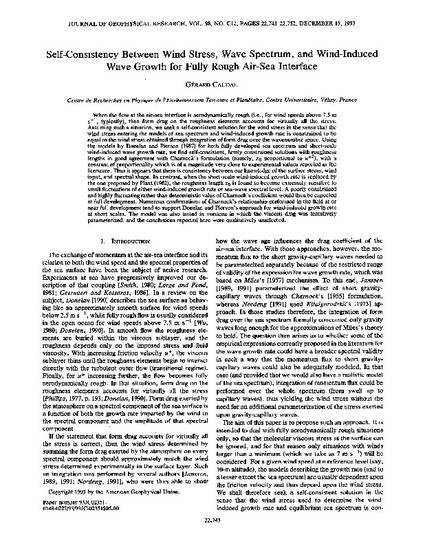 Journal of Geophysical Research-Oceans. 1993;98: 22753-22757. To view the published open abstract, go to http://dx.doi.org and enter the DOI. Copyright 1993 American Geophysical Union.